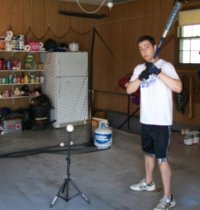 Batting tee drills can used for more than just working on your swing. One of my sons was having trouble reading the outside pitch. Even with two strikes on him he would take a called third strike on the outside corner of the plate. I think he was 11 or 12 at the time. We would talk about it after the game and he swore the pitch was outside. It happened more then a couple of times, and I asked him if he thought every umpire made the same mistake? I then sat behind home plate and videoed all of his at bats. No more arguing, seeing was believing. At that point he recognized that the pitches were strikes. But he still couldn’t read the outside pitches, so the problem wasn’t solved. 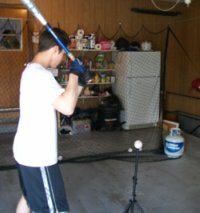 At our practices we would often throw batting practice to the boys. Probably the best way to teach a player the strike zone would be to throw pitches to them on the inside and outside corners. But even with a L screen we would have to get so close to the batter, that it just did not work out. Our aim wasn’t that good. After talking it over with one of my assistant coaches, we came up with a drill to help him read the outside pitches using the batting tee. We measured how far he stood away from home plate, which was 6 inches. Home plate is 17 inches wide. So we set the tee so that the ball was 24 inches away from him. We added an inch just to make sure we had the outside pitch covered well. We were all surprised at how quickly this batting tee practice paid off. Granted, it takes a pretty good pitcher at the age of 12 to hit the outside corner, but in the past it sure seemed to happen to us a lot. Now the boys were taking swings at that pitch and putting it into play. It’s pretty easy to figure that you have a much better chance getting on base by putting the ball into play rather than taking a called third strike. The first part of this next video shows a drill with this same idea in mind. It will give a good example of how tees are used to improve hitting. The batting tee is one of the best batting aids you can use. We expanded the above drill to include inside pitches, and low and high pitches. The tee we were using at the time would not go down enough to get down to the bottom of the strike zone, but we lowered it as low as it would go. And that was close to where it needed to be, so it worked OK.
Just like all aspects of hitting, this was a practice drill that the players needed to do often. So every few practices we would set up a station for one hitter, and we showed one of the dads where to place the tee. 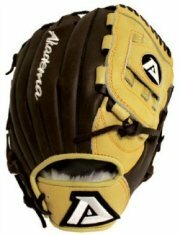 We then would send one hitter over at a time, and continue our normal practice with the others. Our boys were seeing the strike zone so much better after we started using this drill. And this allowed us to talk and work with the boys on situational hitting. 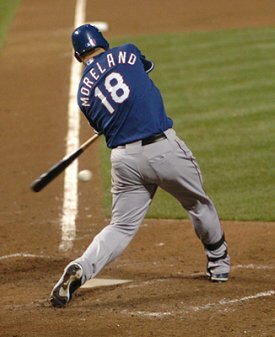 If you have no strikes on you, you want to lay off that low outside pitch. You now know it is a strike, but it’s not the one you want to swing at unless you have 2 strikes on you. 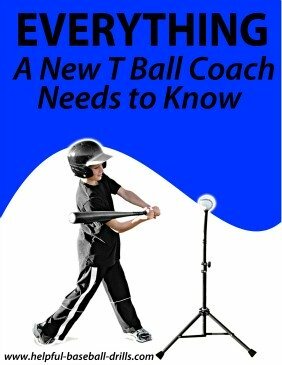 Knowing the strike zone is such a big key for a batter and like I said above, it allows a coach to start working on other aspects of hitting. We actually got the boys to start waiting on that outside pitch and they began hitting the baseball with some power to the opposite field. By using the batting tee as a hitting aid, we were able to turn a negative, not knowing the strike zone, into a positive, hitting the baseball to the opposite field with power. As our son got older he continued to do this drill on his own. That is when you know a drill works, when they practice it without being told.